Robert's work is regularly on display, please get in touch for future invitations. Robert Rattray was born in Ireland and brought up in Wales. After studying sculpture at the City and Guilds of London art school for 4 years, he has been working professionally since 1994. He now works from his base in South Wales with a studio looking out to the Brecon Beacons - a constant source of inspiration. 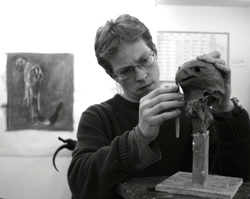 Portraits and animal pieces, both sculptures and watercolour drawings provide the backbone of his work reflecting his passionate interest in wildlife and his rural roots. He has travelled throughout the UK and to various parts of the world in pursuit of his passion and has always had an affinity and love of the wild - his passion has become recreating the world as he sees it. His work has been exhibited continuously, both at home and abroad, and is in both private and public hands. 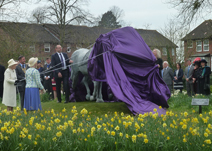 Most recenlty his statue of The Windsor Greys - A Diamiond Jubilee Commission was unveiled by HM Queen Elizabeth II in Windsor - Please follow the link on the left menu. 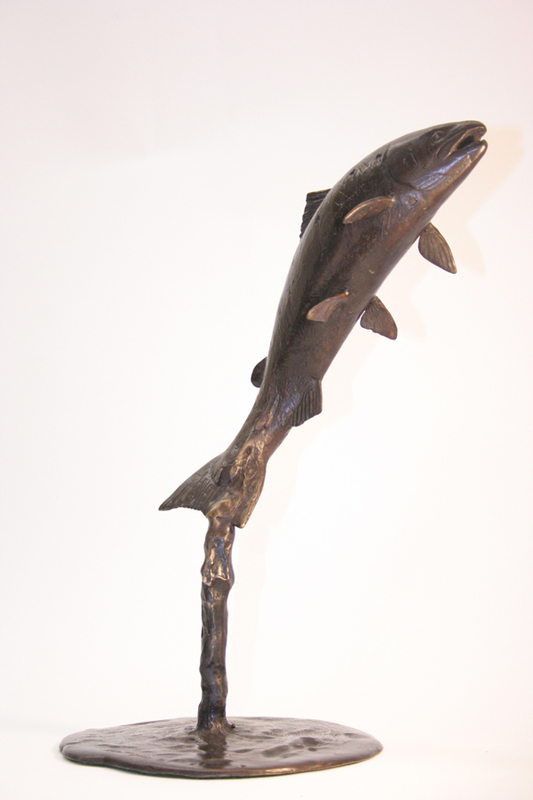 In the David Shepherd Wildlife Artist of the Year 2011 - his life size Otter and Sea Trout was "Highly Commended" - he regularly exhibits across the country - please get in touch if you would like an invitation to upcoming events.. If you have any questions, or would like to enqiure about available work or a commission, please contact Robert via the email link on the left. Private visits to the studio in Crickhowell are also possible.